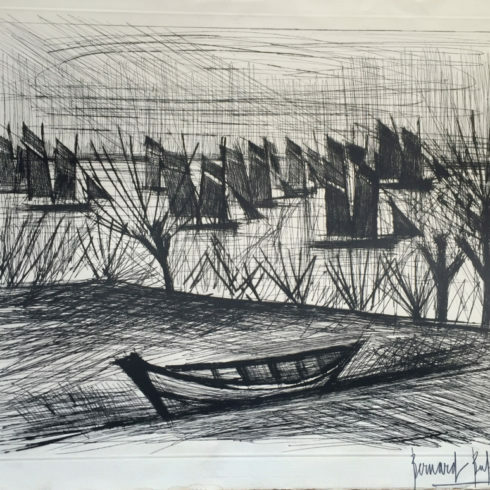 Bernard Buffet was a French Expressionist painter. 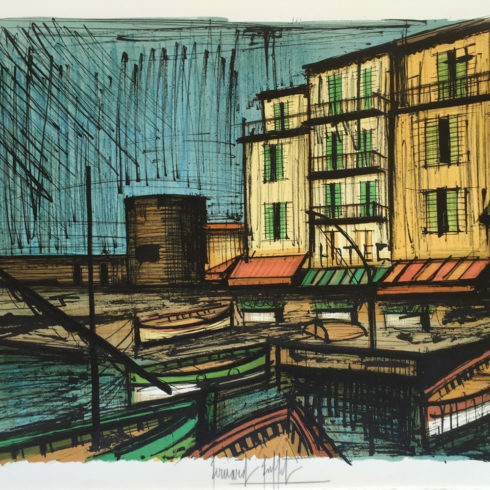 Best known for his representational work, Buffet’s paintings are often figurative, graphic, and central in their compositions. 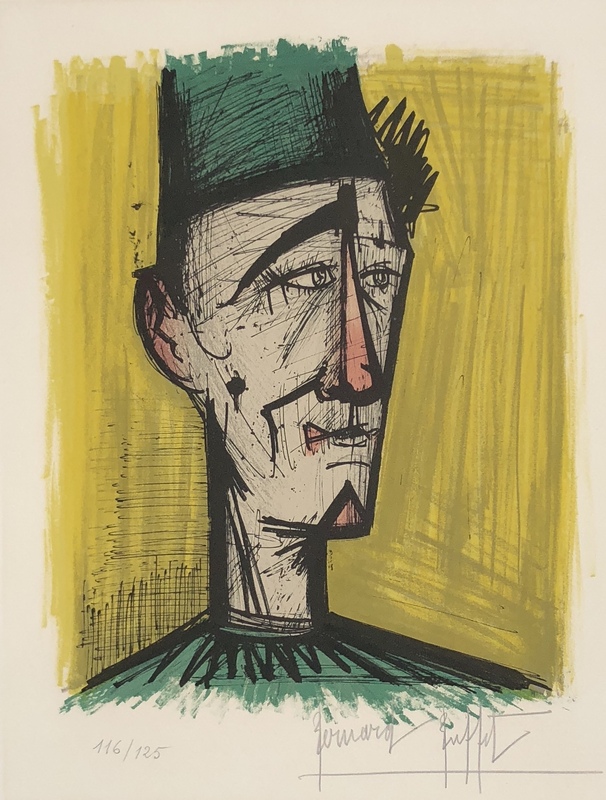 A bold rejecter of abstract art altogether, Bernard Buffet was a member of the anti-abstraction group L’homme Témoin, or the Witness-Man, which passionately argued for the importance of representational art at a time when abstraction began to dominate the critical conversation. 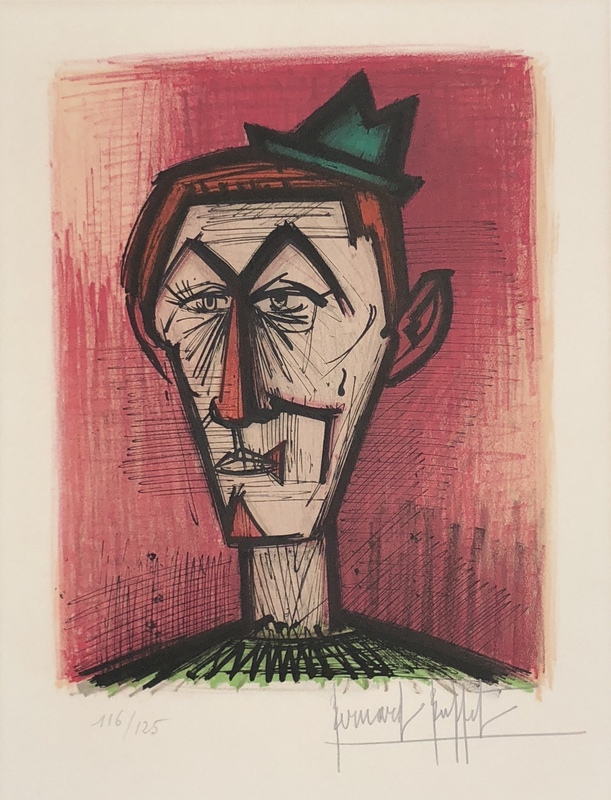 His oeuvre revolved around ideas of art history, death, sexuality, popular culture, and politics while often directly referencing contemporary events and artists. 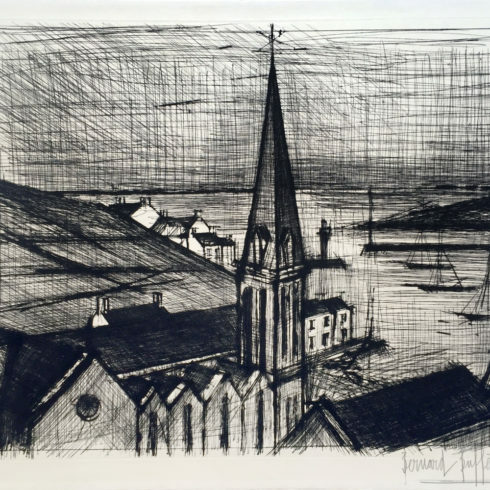 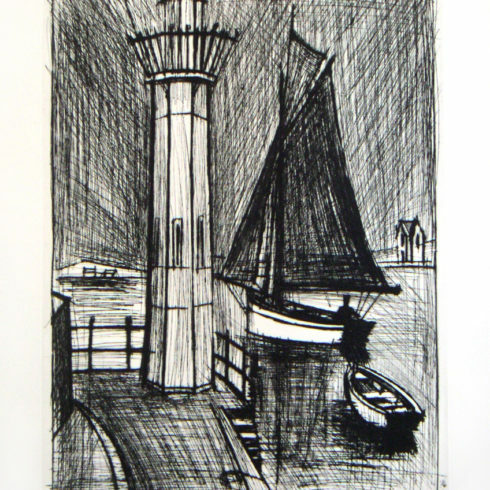 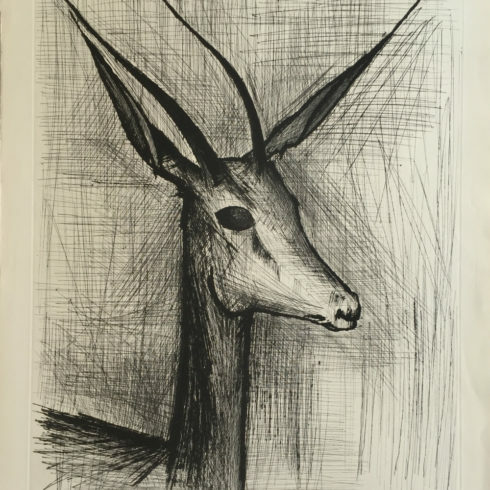 Our Fine Art Gallery has the finest quality Bernard Buffet original prints, lithographs, etchings and engravings. 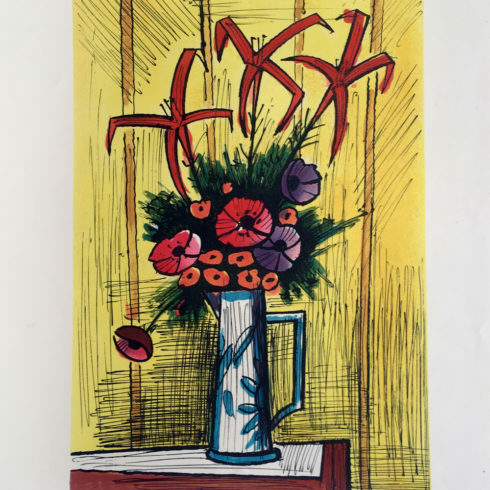 We have a large inventory available off-site and we encourage you to make an appointment to see specific works you are looking to collect. 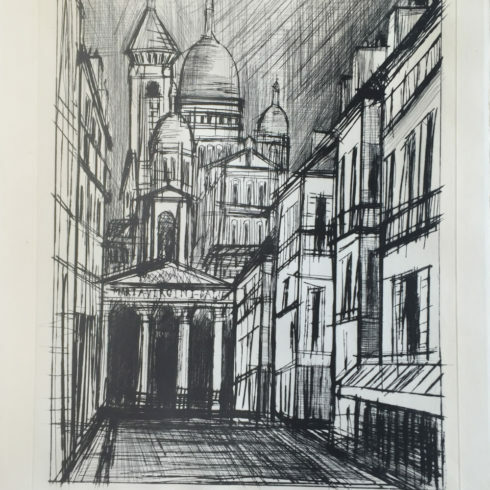 We are happy to meet you at either our art gallery showroom or at your home or office for a private presentation. 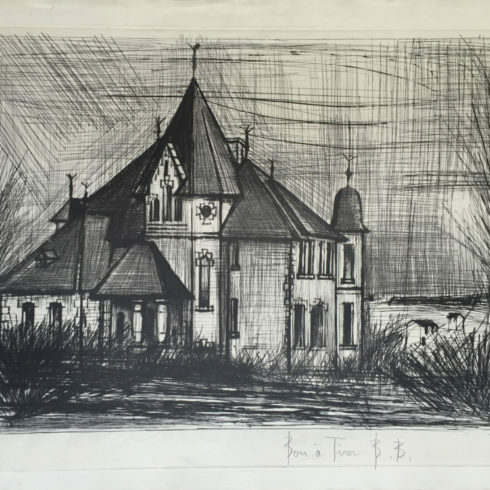 French Artist Bernard Buffet was born in Paris on July 10, 1928. 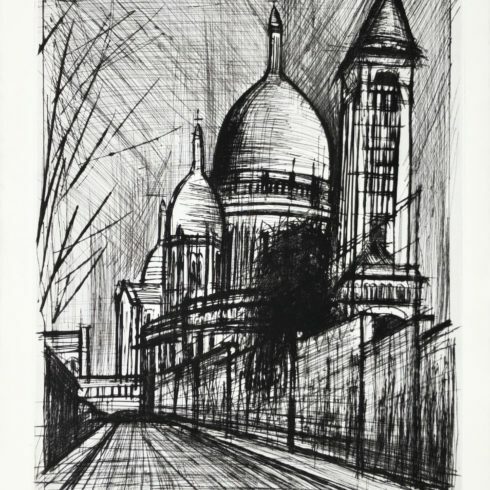 Buffet began his artistic studies at The Ecole des Beaux Arts in 1943. 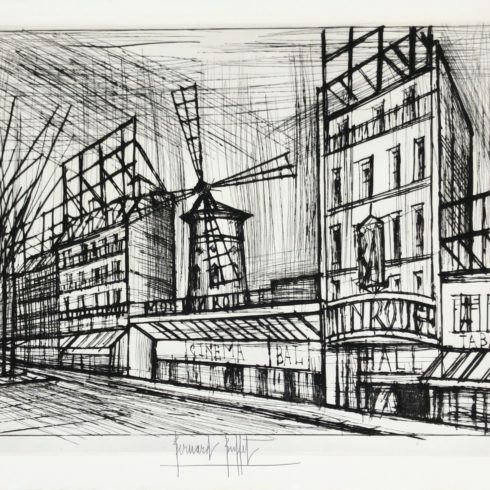 Highly precocious, Buffet had his first one-man exhibition in 1947 in Paris at the Galerie des Impressions d´Art in Paris. 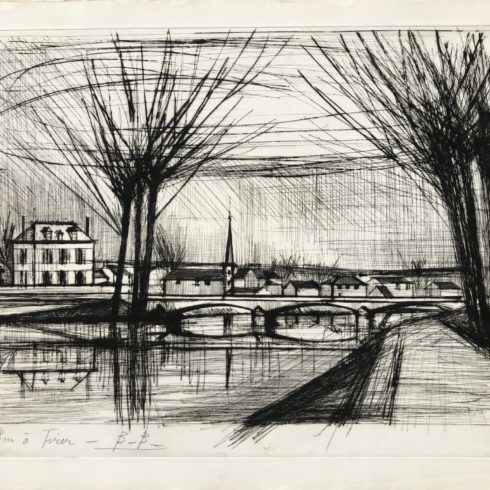 At the age of twenty, Bernard Buffet was awarded the Prix de la Critique. 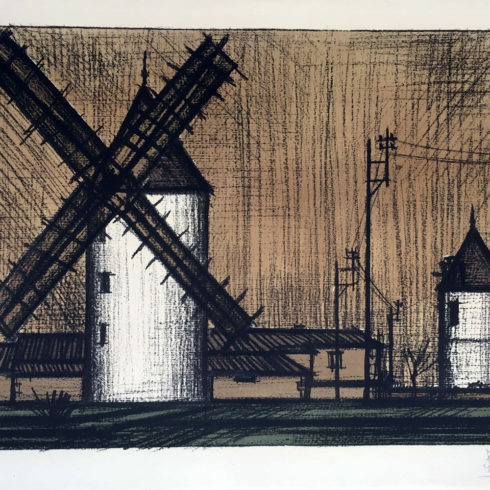 Working exclusively with Galerie Drouant–David and art dealer Maurice Garnier, Bernard Buffet had already established a distinctive style. 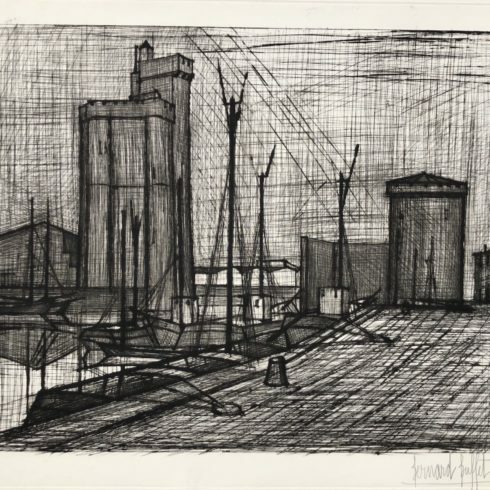 Enjoying enormous success in the 1950´s, Buffet´s artwork was characterized by elongated, angular forms with dark outlines, somber colors and an overall mood if loneliness and despair. 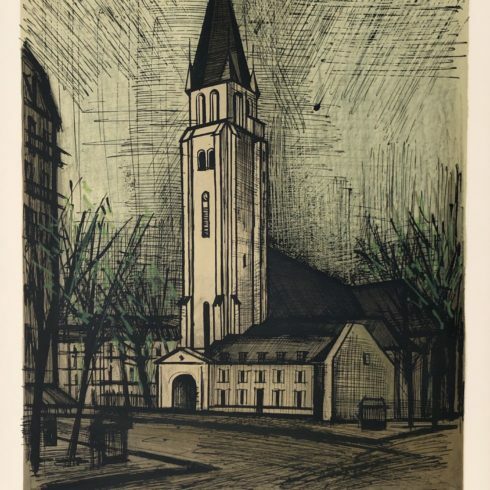 Buffett used a wide range of subjects including religious scenes, landscapes, still–lifes and portraits. 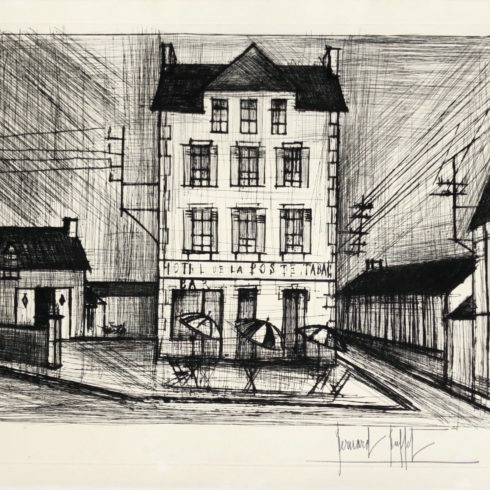 Buffet´s work seemed to express the existential alienation and spiritual solitude of the post-war generation. 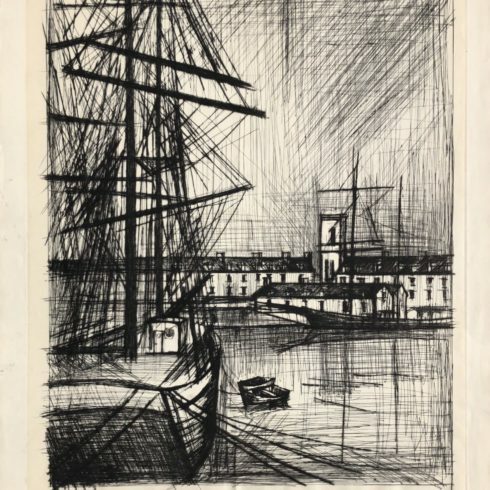 In 1955, the magazine Connaissance des Arts named Buffet as one of the 10 best post-war artists. 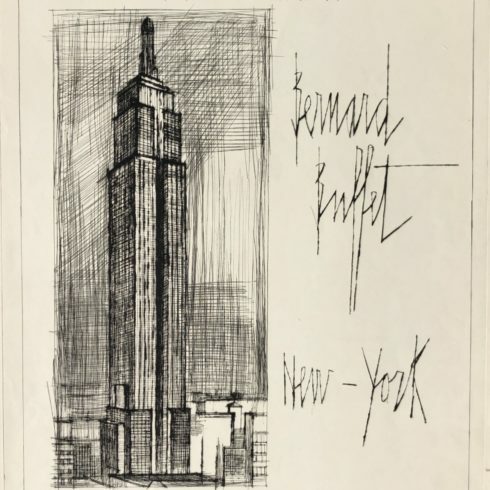 In 1958, at the age of thirty, the first Bernard Buffet retrospective was held at the Galerie Charpentier. 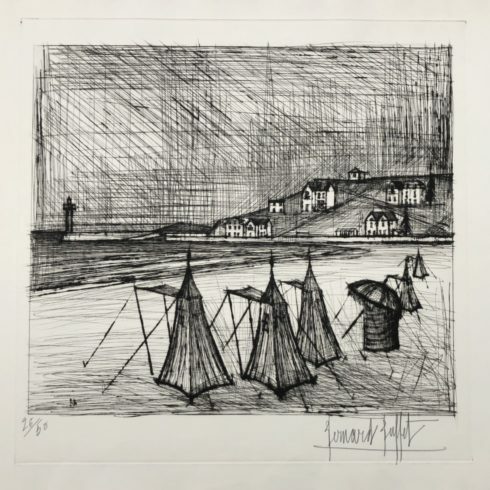 Bernard Buffet has had numerous solo exhibitions, and Buffet´s artwork can be found in the permanent collections of prestigious museums and institutions worldwide. 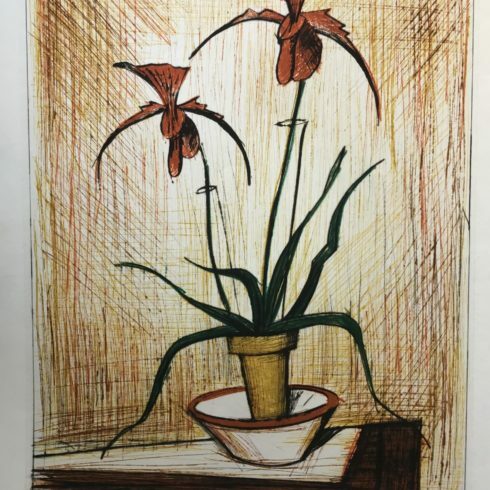 The Surugadaira Museum in Japan is dedicated to collecting Buffet works, boasting nearly 1,000 of Buffet´s etchings, lithographs, sculptures, and paintings. 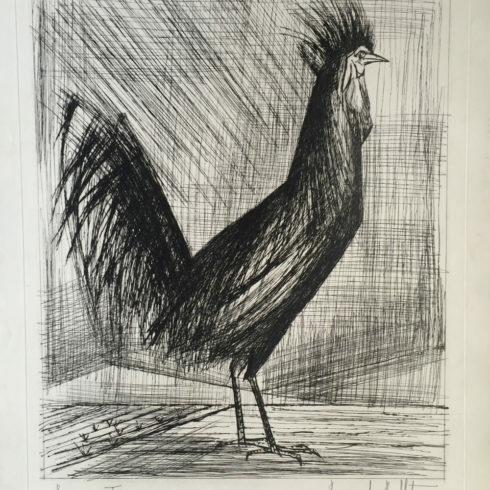 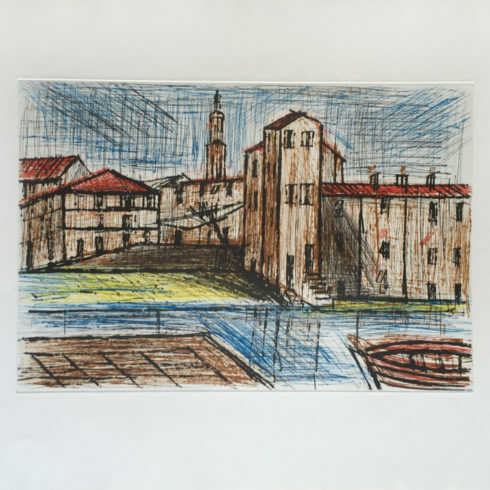 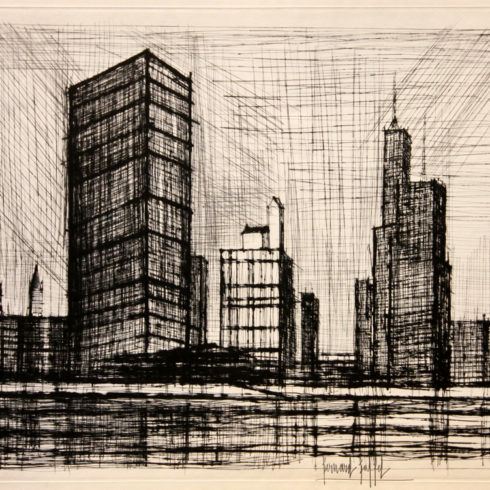 Bernard Buffet embraced printmaking and proved to be an exceptional engraver and lithographer. 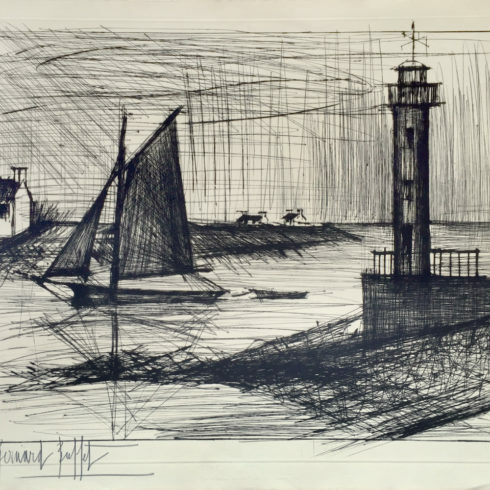 After suffering from Parkinson´s disease, and despondent over being unable to create works of art, Bernard Buffet committed suicide in 1999.